The information below gives some advice on what to do if you experience anti-social behaviour, who to contact and links to more information. The Parish Council believes that the vast majority of young people in Duffield are considerate and responsible. However, in 2017 Duffield has experienced an increase in anti-social behaviour caused by a minority of young people, both from Duffield and from other local areas travelling to Duffield. The Parish Council has been working with the Police, Ecclesbourne School, Amber Valley Community Safety Partnership, Neighbourhood Watch and Derbyshire County Youth Services since the beginning of May to implement a range of measures to address this anti-social behaviour. On Monday 19th June 2017 a public meeting was held to update residents on everything that has been happening and the action plan below gives further details. Update: on 8th September the Parish Council received the following Police report, giving details of the action taken in recent months. What powers do the Police have to stop it? The following links provide more comprehensive advice from local public sector organisations dealing with anti-social behaviour. The Parish Council currently own two CCTV systems which are located on Wirksworth Road corner and at the Eyes Meadow changing rooms. Find out more. For residents or local business owners interested in installing their own private CCTV the links below contain useful information. A crime is happening there and then. Report a crime not currently in progress - for example damage to property. Report ASB that requires a Police response at the time, i.e. 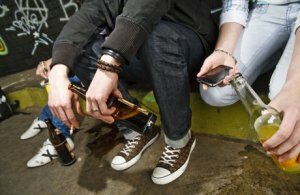 – drunken youths shouting and swearing, intimidating due to their presence, taking drugs etc. Examples of what to report in this manner would be anything that does not need police presence there and then but information that would be useful for the police to know so they can patrol at the right times and build a full picture of what is happening. For example, groups drinking and leaving rubbish at particular times or at specific locations. Derbyshire Police covering Duffield have compiled the following reports to show recent incidents and their response. These will be updated week by week.